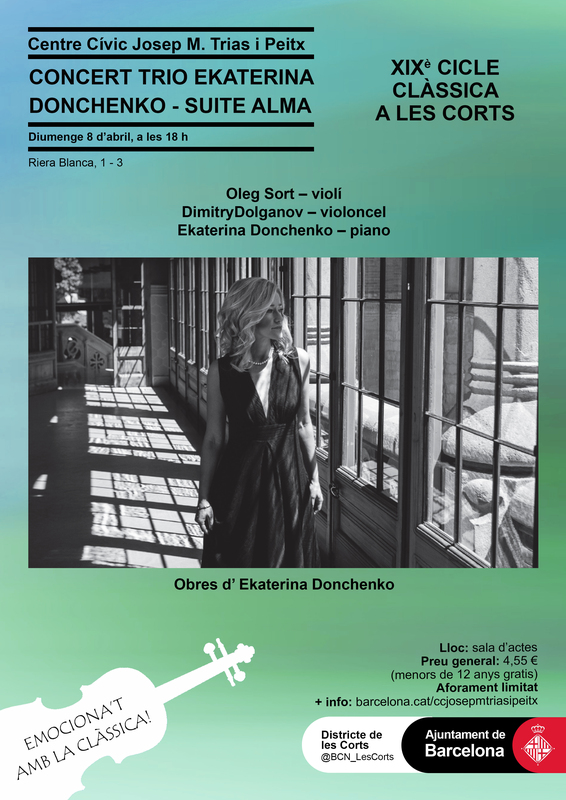 Sunday, 8 April at 06:00 p.m.
Oleg Sort (violin), Dimitri Dolganov (violoncello), Ekaterina Donchenko (piano). Her music can be defined as romantic music of the XXI century that came as a result of the colourful harmony of the whole century. Her compositions invoke fleeting and inspired moments of images and emotions.